The Voopoo Drag Mini Mod is one of the latest box mods from Voopoo. 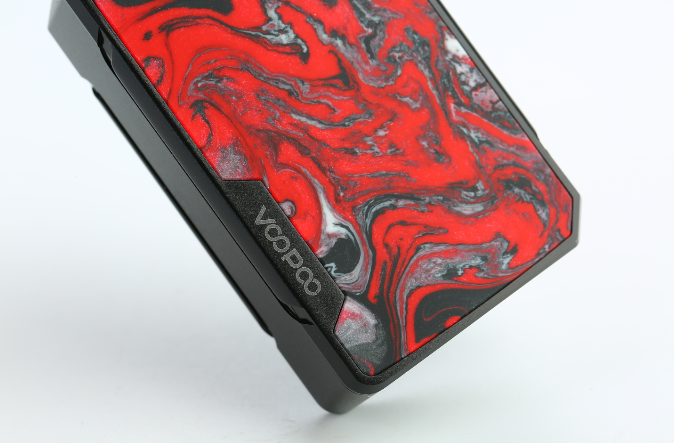 Voopoo is a company that doesn’t need much of an introduction these days. They came onto the vape scene with the original Drag which was hugely popular. 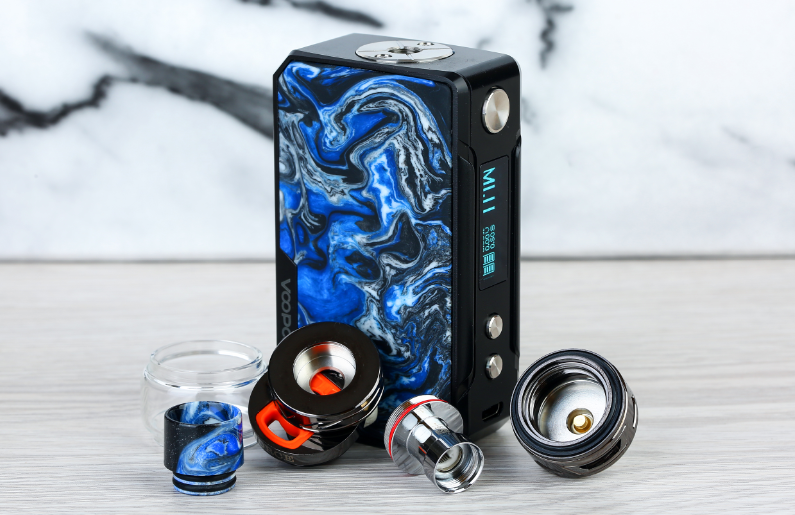 The Voopoo Drag mini is an internal battery mod rated at 117 watts and has a resin side panel. It’s available in 8 colors all with a black frame and the color choices are just the design and color of the resin panel; Atrovirens, Rhodonite, Coral, Prussian Blue, Lava, Phthalo, Purple, and Lime. When I first got this mod, I liked the design a lot. 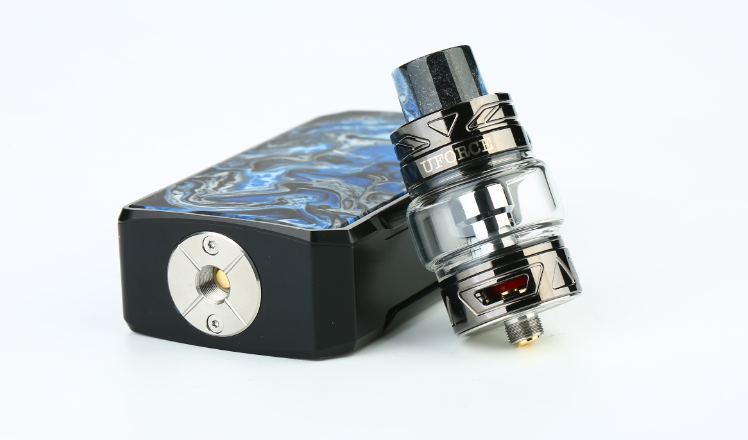 You don’t see many simple basic looking mods these days and lots of vapers prefer that to the more designed and flashy ones. With this mod, it’s a simple short black box with a black and white screen. Nothing fancy about it. I also like the side a lot. It’s short but they made it 25mm wide so 25mm atomizers won’t overhang. I felt it could be good for a basic looking starter mod. Now let’s get into some data. I ran my normal testing. I used the internal battery for the testing. Testing resistances were done at 0.12, 0.16, 0.2 and 0.63 ohms. Wattage points were max (117), 100, 80, 60, 40 and 20. At 0.12 ohms, it maxed out at 113 watts and 31 amps. For the rest of the testing it pretty good. 6 watts low at 100 and 4 watts high at 20 but outside of that only 1-2 watts off. At 0.16 it maxed out at 111 watts. The rest of the testing is a little on the low side 2-5 watts at 60 or more but on point at 40 or less. For the 0.2 test, it maxed out at 127 watts. The rest of the testing pretty solid but a little high 2-4 watts mostly. For the 0.63 testing, it maxed out at 94 watts and 7.679 volts. For the rest of the testing, it hit 3-9 watts high. The volts shows there is no boost circuit in this mod and instead it has 2 cells in series internally but no issue with the volt limit personally and matches most dual battery mods. Overall, I felt the performance of this mod was really good. The new mode they added to this mod from the original is the fit mode which has 3 options labeled 1, 2, and 3. So what is fit mode? I like to keep things simple personally when explaining it so basically it’s a mode where it reads the resistance of the coil and then puts out a pre-programmed wattage amount based on that and was designed to be used with their uforce coils. Basically, it’s power mode with a lack of settings. I already tested this on the Drag 2 for my review and found it to be underwhelming and pointless. Overall, it’s a decent idea for a kit to make life simpler for vapers however poorly executed and a useless mode. 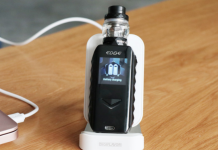 They also have their Voopoo software, I was disappointed with the Vmate when the software didn’t work for it during my review and was wondering if they were decided against continuing to offer that. Thankfully the Drag 2 had no issue connecting to the software as it’s been updated to work with the Drag 2 already. I was able to connect no issue and remove the Ti and Ni options for TC mode and it worked great with no issues. The software is pretty basic though, but does allow you to remove modes you don’t need or want and also allows you to change the theme and to program the power curve and temp curve memories so it’s a decent software and a nice bonus so hard to complain there as most companies don’t have software to allow mod adjustments. Using SS316 wire in SS mode, I tested 6 builds. 2 simple round single coil, 1 simple round dual Coil, 2 large fancy single coils builds, and 1 large fancy dual coil builds. The mod is again limited to 80 watts sadly which is something that needs to be addressed and most of the time won’t give 80 watts anyway. It’s dependent on resistance and the lower you go the less of that 80 watts you can get. This makes it unusable for large dual coil builds as it stands and really limits the ramp up ability on anything but a single coil build which is disappointing. Also, it felt quite pulsey as well. I don’t remember the original being as pulsey as this one but may be based on the time my standards were lower with not many affordable TC options. As far as accuracy goes, it does hit a bit weak and it could be adjusted and I would have played around with it more if it worked better to dial in it but as it stands their TC is behind the curve now and not really worth messing with these days. 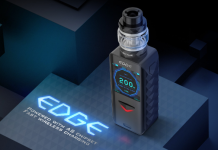 Unlike the Drag 2, this is competing in a different market being a smaller, lower watt, internal battery mod so the limit isn’t that big of a deal like it is for the Drag 2. Still, it’s not one of the better ones out there, but it is at least passable on this mod. Not something I’d outright recommend for TC but not something I’d completely avoid either. 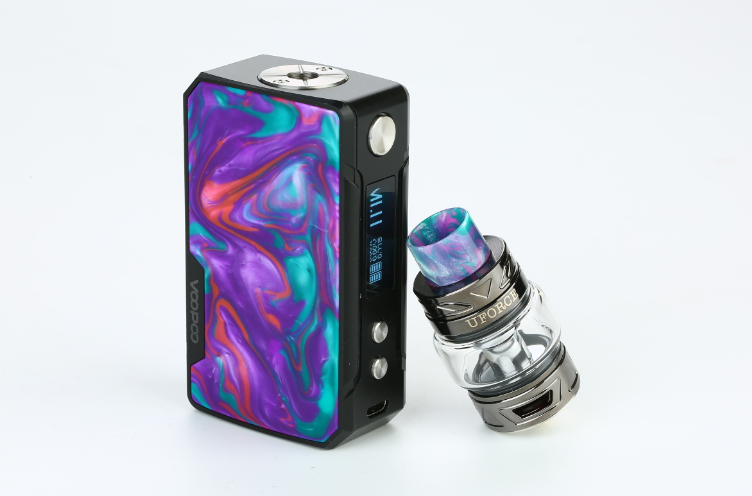 So with all that said, do I recommend this Voopoo Drag Mini mod or not? I don’t like to do a hard yes or no but I have to lean towards the yes. 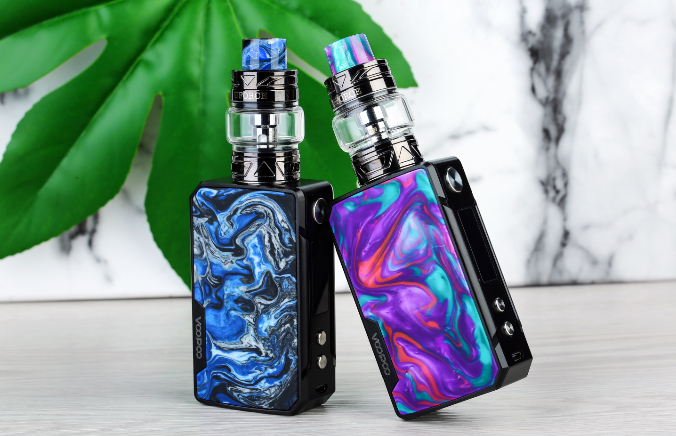 While we are starting to see some more internal battery mods lately, they aren’t very abundant these days so the competition is much less than it is for Drag 2 with dual 18650 mods. If you wanted a good featured, internal battery mod with good battery life for power mode, this is a solid option to pick for sure.